24 hour Mega Sale at Dalma Mall! Abu Dhabi - June 14, 2018: Start your Eid celebrations the right way, and head to Dalma Mall for its Mega Sale, where shoppers can enjoy huge discounts on their favorite international and regional brands. Kick off your Eid celebrations by joining 24 hour Mega Sale at Dalma Mall, a round-the-clock retail therapy starting 15th June 10am to 16th June 10am. 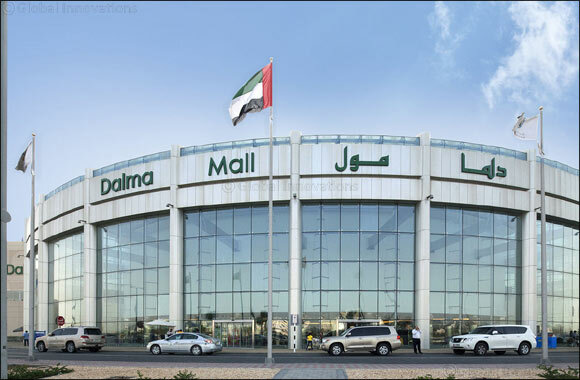 Dalma Mall, Abu Dhabi's favorite mall is delighted to be taking part in this year's much anticipated 24 hour Mega Sale to celebrate Eid Al-Fitr, as announced by the Department of Culture and Tourism. It's a must for anyone looking for something special to treat themselves or their loved ones this Eid. Residents and tourists alike will be able to enjoy massive discounts throughout the mall's 200 selected retail outlets, among 450 renowned brands available in the mall. With bargains to be had, shoppers shouldn't miss this exciting retail event. Also enjoy mesmerizing Eid festivities, with cultural dances that include Al Ayallah, Khaleeji, Sufi, Dabke and Tanoura dances across the mall to add fun and entertainment to your Eid shopping at Abu Dhabi's favorite mall, Dalma Mall. There's not just shopping on offer at Dalma Mall. Visitors can enjoy a film at the Cine Royal, go karting at Crazy Car, or get active at the Adventure Zone. There's plenty for children too with Fun City offering games and rides, and Kidoos Kingdom of Kids, where they can try sports and other activities. There's something for everyone, whatever their age! With all this on offer, starting your Eid celebrations at Dalma Mall's Mega Sale is the perfect choice for discerning shoppers. Next Story : Give a little; help a lot at Dubai Outlet Mall's Ramadan & Eid carnival!